Simone Johnson to follow in legendary father's footsteps. 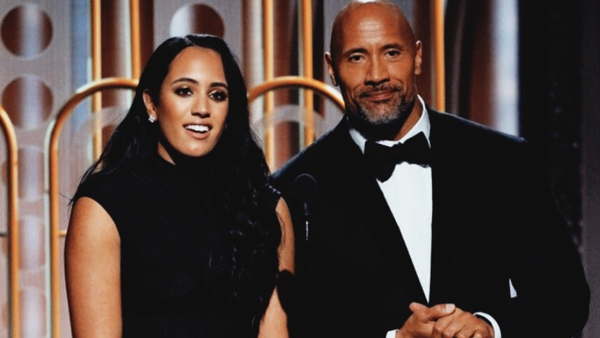 The Anoa'i wresting dynasty is already one of the sport's most decorated, and could be on the verge of securing yet another representative with the revelation that The Rock's daughter, Simone Johnson, is training at the WWE Performance Center. This is according to a new report from Pro Wrestling Sheet, who claim that the 17-year-old is doing so with the goal of ultimately following in her legendary father's footsteps. Zelina Vega spoke about Simone on a recent episode of Lilian Garcia's Chasing Glory podcast. The SmackDown valet revealed that she and Johnson had become close during the filming of Fight With My Family, as both Vega and The Rock are on the cast, with Simone citing Zelina's work on the movie as an inspiration for her own move into wrestling. Per PW Sheet, Johnson is currently training on a part-time basis, though there's talk that she could eventually transition into a full-time role. If so, she'll become a fourth generation WWE Superstar, following in the footsteps of The Rock, grandfather Rocky Johnson, and great grandfather 'High Chief' Peter Maivia. Such a glittering lineage all but guarantees a strong run if Simone makes the cut.